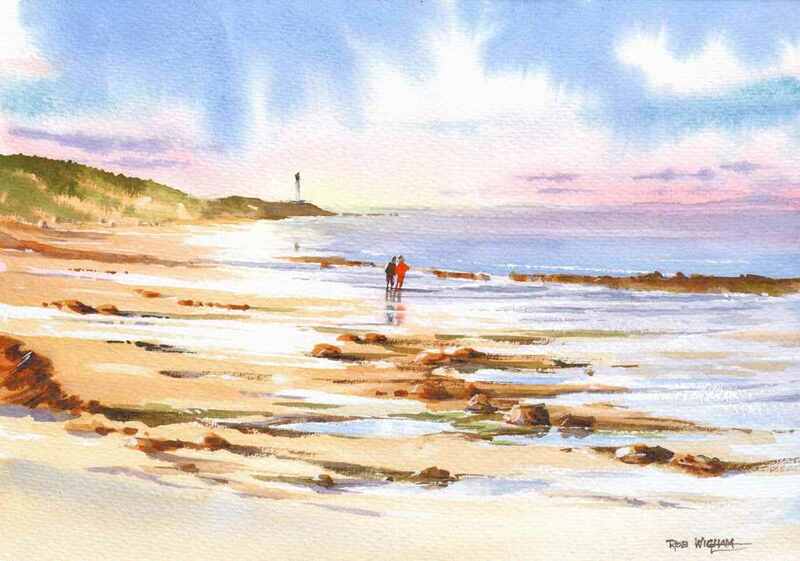 'A Walk on Lossiemouth Beach', watercolour, 34 x 23 cm. A view along West Beach at Lossiemouth, with Covesea Lighthouse in the distance. The original painting was sold. Large: Image 34 x 25 cm, £24 unmounted or £30 mounted to fit a 20 x 16" frame.